The legacy left by Jeff Lynne & The Electric Light Orchestra barely needs any introduction – suffice to say that between 1972 and 1986 they achieved more combined UK and US Top 40 hits than any other band on the planet! 10538 Overture, Evil Woman, Living Thing, Diary of Horace Wimp, Don’t Bring me Down and of course Mr Blue Sky went on to become the soundtrack of our lives. Blending rock rhythms with classical influences, ELO also released many classic albums such as A New World Record, Discovery and Out of the Blue, and many sell out tours further established them as one of the most important and influential bands ever. 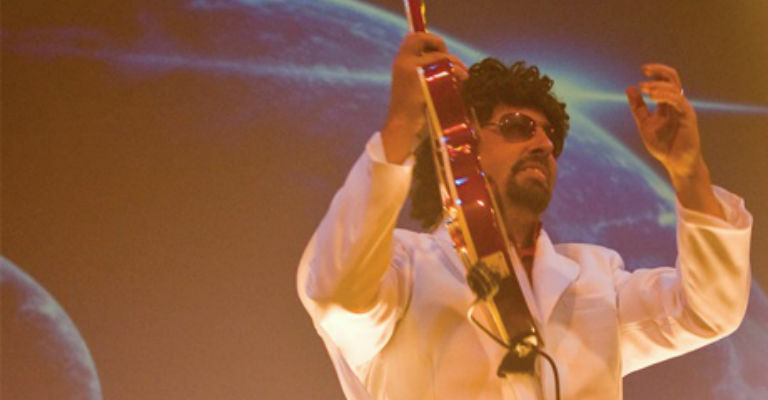 The ELO Experience are the world’s foremost tribute to The Electric Light Orchestra. With a sensational string section, a stunning light show and large screen projection to further enhance the experience, why not come along and enjoy this incredible show which accurately reproduces the songs and sounds and takes you on a magical musical journey through time.